The Asphalt series will bring back fond memories for anyone who ever owned a Nokia N-Gage. The series started out on there before migrating to newer platforms such as Android and iOS. The original game was a lot of fun. It had stunning graphics, great music tracks and enough extra features to keep you playing for extended periods. 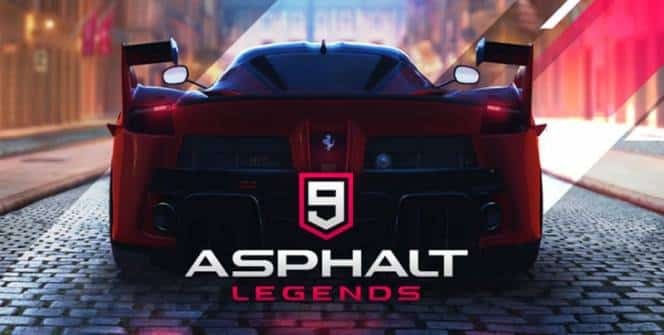 Numerous versions have been released since then, and the latest version is Asphalt 9: Legends. Modern smartphones are now more powerful than computers were when the first Asphalt was released, so you can expect a very fine-tuned experience. The visuals are the first thing that stands out. The Asphalt series always had great graphics and each successive game has been an improvement on the last. 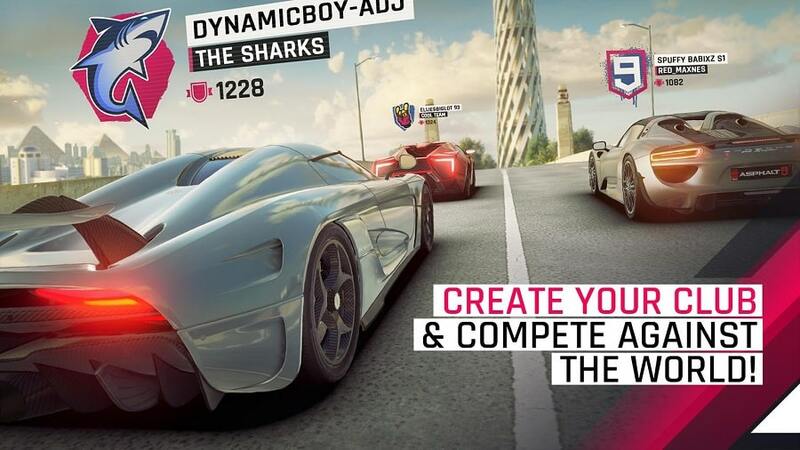 Asphalt 9 continues that trend with a stunning graphical display that will the set the benchmark for mobile gaming. One of the best things about the visuals in Asphalt 9: Legends is how they portray the sense of speed. Arcade games use motion blur to make it feel like the surroundings are going too fast to be seen properly, leaving a trailing blur instead. Arcade games tend to overdo it but Asphalt 9: Legends for PC got it just right. The new graphics engine also does a brilliant job with the lighting. Bloom effects make the brighter areas more crisp and every stage has different lighting conditions to bring out the sunset, snowy conditions and city-at-night in a spectacular fashion. The stunning visual effects are brought full tilt with clever use of green spaces and the geometry of the cars. Particle effects are highlighted rather well. The cars don’t suffer any damage however sliding against railings results in a shower of sparks and driving through puddles of mud and snow leave dirt on the wheels and tires. Your car may not suffer any damage, however the NPC cars show signs of damage when you knock them out of your way. The graphics look amazing but the gameplay is not quite as good. In this version, the car brakes, turns and accelerates itself therefore all that the player has to do is swipe left of right to turn. You can connect a steering wheel but steering is still all that you can do. The rest of the gameplay is pretty much the same as previous tittles. Each race has multiple options along with targets that help you unlock each race. You also have the option of driving ‘dirty’, which means bullying everyone off the road, or cleanly. New cars are available but you can’t just buy them. They only become available after you’ve picked up enough blueprints from completed races. The standout feature for Asphalt 9: Legends is definitely the graphics. Every movement of the car feels organic, from how the wheels and suspension adjust to different terrains to how lifelike the scenery is. The wheels even glow red when you slam the brakes on. You don’t actually drive the car, you just steer it. Each race uses up 1 unit of fuel and if you use all six units then you have to wait for them to refill on their own or watch an advertisement. Asphalt 9: Legends is great step up from its predecessor. The graphics are the best thing about it however the new controls and the refueling system are headaches. Sometimes when playing Asphalt 9: Legends, bluestacks ask you fee to pay but gives you option to download some apps. Every time it asks you just select “Install apps” and continue using it free. I hope you enjoyed this article, please rate and share. 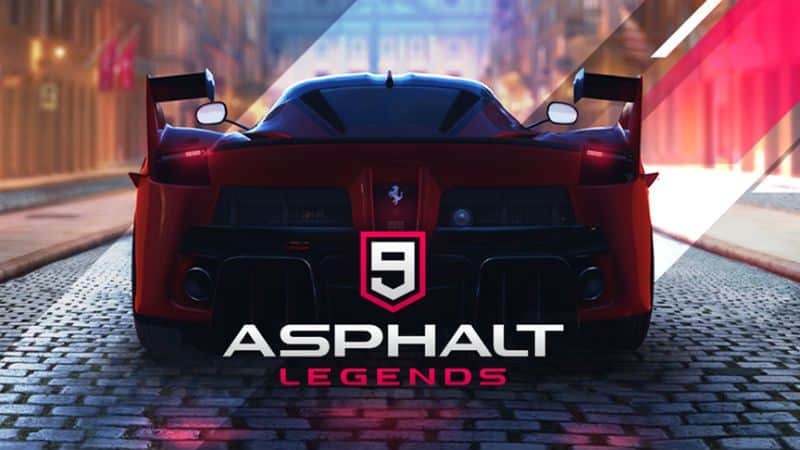 If you have problems running Asphalt 9: Legends on your desktop or any other issues, leave a comment below.